One of the defining narratives of modern China has been the migration of young workers — often girls in their late teenage years — from the countryside into sprawling cities for jobs in factories. Many found work at Foxconn, which employs nearly 1 million low-wage workers to hand-assemble electronic gadgets for Apple, Nintendo, Intel, Dell, Nokia, Microsoft, Samsung and Sony. So it was a surprise when Terry Guo, the hard-charging, 61-year-old billionaire CEO of Foxconn, said last July that the Taiwan-based manufacturing giant would add up to 1 million industrial robots to its assembly lines inside of three years. The aim: to automate assembly of electronic devices just as companies in Japan, South Korea and the United States previously automated much of the production of automobiles. Foxconn, one of China’s largest private employers, has long played an outsize role in China’s labor story. It has used cheap labor to attract multinational clients but now faces international scrutiny over low pay and what some see as inhumane working conditions. Since the announcement, Guo hasn’t offered more details, keeping observers guessing about whether Foxconn’s plans are real. (Through its public-relations firm, Burson-Marsteller, Foxconn declined to describe its progress.) Trade groups also haven’t seen the huge orders for industrial robots that Foxconn would need, although some experts believe the company may be developing its own robots in house. “Guo has good reasons for not waving his flag about this too much,” says Wolf. Keeping quiet could give Foxconn a jump on competitors. What’s more, with the Chinese economy slowing down, “it is politically inadvisable to talk too much about replacing people with robots,” he says. About 300,000 Chinese workers currently live in dormitories at Foxconn’s Longhua factory complex, where Apple products are assembled. Most spend their days seated beside a conveyer belt, wearing white gowns, face masks and hairnets so that stray hairs and specks of dust won’t interfere as they perform simple but precise tasks, again and again. Each worker focuses on a single action, like putting stickers on the front of an iPhone or packing a finished product into a box. As managers told ABC’s Nightline — which aired a rare look inside the factory in February — it takes five days and 325 steps to assemble an iPad. Such highly structured and predictable tasks are well suited to automation, says Jamie Wang, a Taipei-based analyst for the research firm Gartner. Industrial robots, typically equipped with a movable arm, use lasers or pressure sensors to know when to start and finish a job. A robot can be operated 160 hours a week. Even assuming competition from nimble-fingered humans putting in 12-hour shifts, a single robot might replace two workers, and possibly as many as four. Wang stresses that Foxconn can’t replace human workers right away because automating assembly lines would require rejiggering its entire manufacturing process. Larger changes in China also won’t occur overnight. Smaller Chinese factories can’t afford to invest in robotics, and factory wages are still relatively low — about $315 to $400 per month in the Pearl River Delta, according to Liu Kaiming, director of a Shenzhen-based labor organization called the Institute of Contemporary Observation. While many of us might use YouTube to get our daily fix of adorable or hilarious cat videos, the site can also be a very useful learning platform. It has thousands of educational videos that can teach us an amazing variety of things, such as how to play the guitar, or facts about the world and universe we live in. But it’s not just people that can learn from YouTube; robots now can, too. In a new study, a team of scientists from the University of Maryland and the Australian research center NICTA successfully taught a robot how to use tools by showing it cooking videos on YouTube, representing an important step towards the development of futuristic, self-learning helper robots. The published work will be presented soon at the Association for the Advancement of Artificial Intelligence’s 29th annual conference. The ability to learn actions from human demonstrations is critical if we want to develop service robots that can teach themselves new skills, but it’s been a major hurdle for scientists working on artificial intelligence. In particular, training robots how to manipulate objects has been very tricky since many actions can be performed in a variety of different ways. Cooking, for example, requires a huge range of manipulation actions, and it is likely that these will be required by future service robots, which is why the team chose this skill for their study. To teach their robot, the researchers used a method of artificial intelligence training known as “deep learning,” which basically involves converting information from a variety of inputs, such as audio and image data, into commands. Key to this technique was a series of artificial neurons that were hooked up to form a network, called a convolutional neural network (CNN), which not only served as a sophisticated image recognition system, but also allowed the robot to break down the actions presented. The researchers used a pair of CNNs in their system that performed different roles. One observed the cook in the YouTube video and identified various actions, such as a particular grasp used on an object, while the other broke down that action in order to work out how the object was being manipulated. The latter was also capable of predicting the next action that was most likely to be performed with the object. After using data from 88 different YouTube cooking videos, which are particularly challenging due to the large variation in scenery and demonstrators, the robot was able to identify which type of grasp was used and the object being grasped. It then selected the most appropriate manipulator from a small repertoire to replicate the grasp, such as a vacuum gripper. The search for water ice on the moon could be led someday by a robot armed with a 4-foot drill. With the first prototype of the lunar rover, called Polaris, comes the prospect of eventually extracting resources from the moon, asteroids or other planets through space mining. 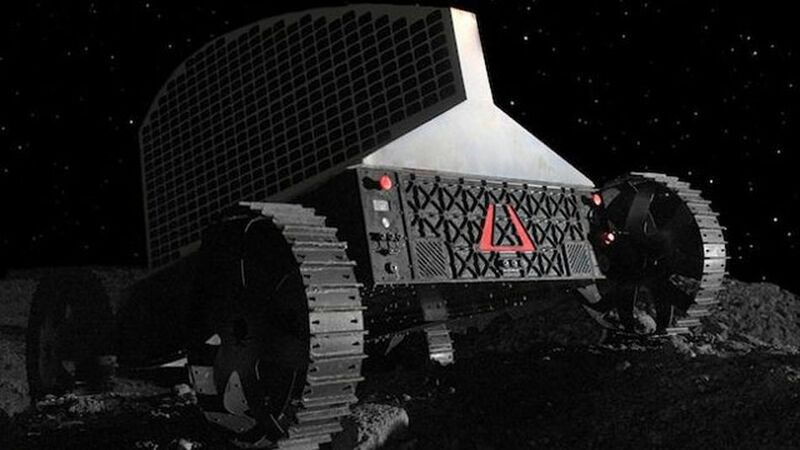 Polaris is the robot of choice for Astrobotic Technology, one of many private teams competing for the $30 million Google Lunar X Prize for landing robotic explorers on the moon. But Astrobotic also wants to build a lasting business out of its lunar exploration efforts by testing the technologies needed for space mining. “This rover is a first step toward using off-Earth resources to further human exploration of our solar system,” said John Thornton, president of the Pittsburgh-based robotics company, which unveiled the prototype Oct. 8. Polaris is the size of a golf cart and tall enough to wield a 4-foot drill. It can move a foot per second on its 2-foot-wide wheels and carry 150 pounds (70 kilograms) of drilling equipment and science instruments. Between its heavy drill and batteries and its lightweight wheels and chassis, the robot weighs about 330 pounds (150 kilograms). Polaris will need to withstand frigid temperatures as low as minus 280 degrees Fahrenheit (minus 173 Celsius). The lunar rover’s power comes from solar panels designed to point toward the sun as it peeks just above the moon’s south pole. A lack of GPS on the moon required a workaround. Astrobotic hit upon the clever idea of having the rover match whatever it sees on the surface with pictures of satellite images taken by NASA’s Lunar Reconnaissance Orbiter. If Polaris reaches the moon, it could be perhaps the first of many robots that scout sites for space mining operations. NASA has already begun talking with about putting its own ice-prospecting instruments on the private rover — one of nine contracts worth $3.6 million that the U.S. space agency has awarded to Astrobotic. As a clever way to market the new RoboCop reboot in 2013, fantasy company OmniCorp published this advert offering their futuristic services in our world. Imagine no crime and no need for police. It may sound alluring, until you realize it’s because there is a fleet of weaponized drones flying in the sky controlled by one corporation. Read more on Collider. One of the biggest issues with robotic planes or helicopters, also known as drones, is that they are not very good at avoiding obstacles on their own. In other words, they need a human pilot on the ground to prevent them from crashing. But that could change soon. 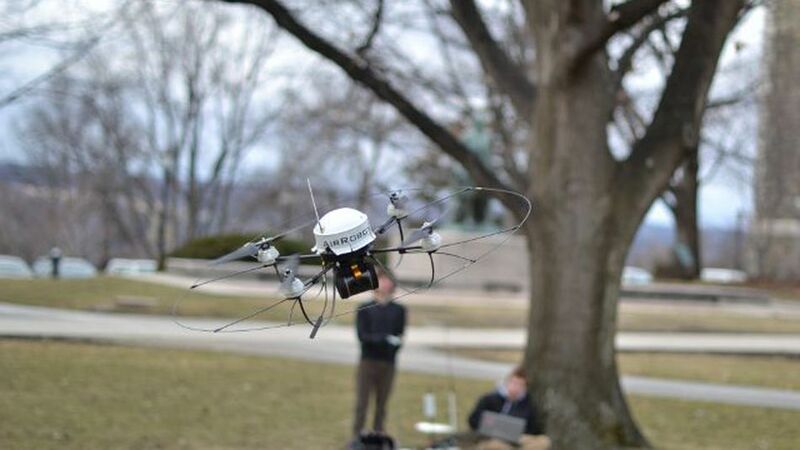 Researchers at Cornell University have developed software that, coupled with a camera and hardware that mimics a brain, helps a small drone to dodge obstacles like trees or poles. The software makes the drone turn an image taken with its camera into a 3D model of the environment. The robotic brain can then determine which objects are obstacles and change its route accordingly. This would solve one of the biggest hurdles towards fully autonomous drones: their lack of good “sense and avoid” systems. The lead researcher, Ashutosh Saxena, hopes to further develop the software capabilities making the drone able to calculate wind patterns and avoid moving objects, like birds. Software like this could have huge implications for the future of drones in the U.S. as the Federal Aviation Authority prepares to implement them in the domestic aerospace before 2015. The military’s far-out research arm, DARPA, and defense giant and drone-producer Lockheed Martin are funding the research, underlining the importance that this project has in the eyes of the U.S. government and the private sector. Watch the video above to learn more about how this software works and to see the small quadrocopter move around autonomously. Texas Girly 1979 published this adorable Halloween-pet video a day after the spooky holiday, but it has just experienced a second surge of viewership online now, appearing on LaughingSquid, DListed, HuffPost, and BuzzFeed. The web has seen plenty of cats riding on Roombas before, but nothing like this. A cat, dressed as a Halloween shark, rides the robotic floor cleaner as a giddy baby duckling runs along. Finally, a witch dog appears just as the Roomba runs out of juice. Here’s what the popcorn packagers at Popcorn Indiana do in their spare time: They created The Popinator, a sophisticated machine that can toss popcorn right into your mouth from up to 15 feet away. 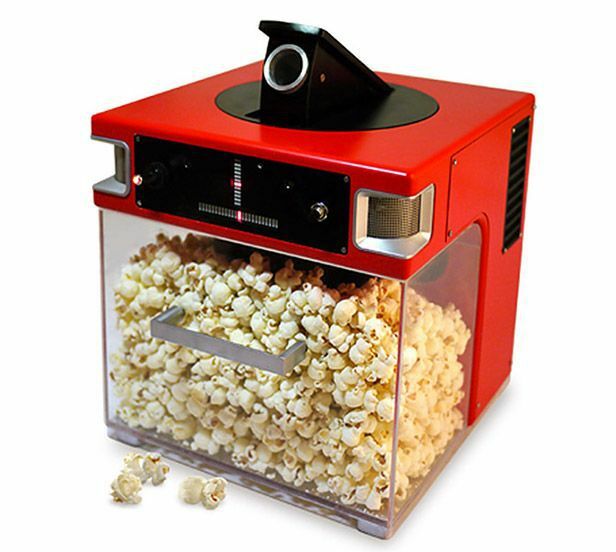 The Popinator is voice-activated, and its binaural microphone system can detect your location, reacting to when you say the word “pop.” That’s when a single kernel of popcorn is tossed your way, and it’s remarkably accurate. According to Popcorn Indiana, “there is no shipping date and no price tag.” But the company says, “We certainly hope that one day it will become a commercial product.” So do I. 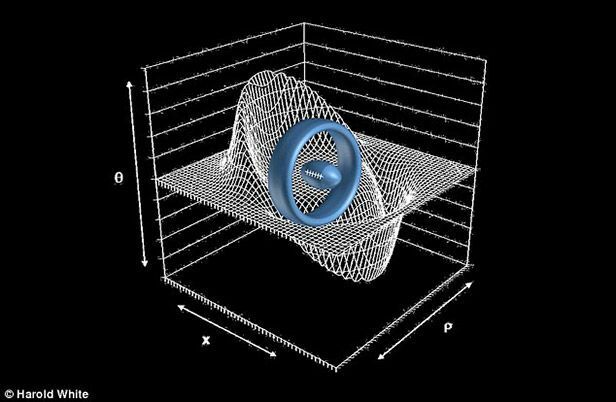 The idea of achieving warp speed has been bandied about for a while, but the biggest problem with those theories so far is that they would require the warp drive device to tap into a spectacularly powerful source such as a supernova. Now, physicists have figured out a way to encircle a spacecraft inside a doughnut-shaped ring, which (insert miracle here) brings down the power requirements to a reasonable level. Such a power device could be contained in an enclosure about the size of a small car, the scientists say. The tech is still far from implementation, with scientists planning to first experiment with a miniature warp drive. In the Star Trek universe, warp drive was invented in 2063, so it looks like the scientists might have a fighting chance of turning fiction into fact. The coveted iPhone 5 arrived this week, and I got a black one with 32GB of storage. How does it compare with the iPhone 4S? For me, the most surprising part of unboxing this noticeably slimmer phone was its feather weight. Sure, I read the specs saying it weighs 1 ounce less, but that’s not the same as holding it in my hand and noticing the huge difference between it and the iPhone 4S. It almost feels as light as an iPhone case. That’s good. Now it won’t pull my pants down when I’m carrying it in my pocket. Sitting next to the iPhone 4S, it looks unusually tall, but without that comparison, when you hold it in your hand it looks like a perfectly proportioned — and badass — black slab. Gone is the glass back, replaced with black aluminum with glass strips at the top and bottom. This configuration was much more of a fingerprint magnet than my white iPhone 4S. But I do think it’s the loveliest iPhone yet, and I especially like the serious attention to detail of Apple’s designers. Here’s a direct comparison of the iPhone 5 with the iPhone 4S. I’m glad the iPhone 5 is taller, giving you room for one more row of icons. Thanks to its new A6 processor, the phone feels noticeably faster. There’s one less layer of glass on that screen, and I noticed it was even more responsive than before. Impressive. Here’s the new Lightning connector, which is both frustrating and delightful at the same time. Frustrating because all of the iOS docks, cables and plugs I have lying around are obsolete, requiring the purchase of an absurdly overpriced $30 adapter. On the plus side, this Lightning connector can be plugged in whichever you want — there is no upside-down — which makes a huge difference in everyday use. I only wish USB cables would be this easy to connect. This is not a revolutionary iPhone — that honor goes to the very first iPhone rolled out in 2007. However, the iPhone 5 is a further refinement on the best smartphone on the planet, and it’s faster, has faster LTE connectivity, is thinner, lighter, and has longer battery life. These are enough good reasons for me to drop nearly $600 on the 32GB iPhone 5, thanks to a still-young contract with AT&T I signed in October of last year. But then, I can probably sell my 64GB iPhone 4S for enough to make up a large portion of that. You’re looking at the user-friendliest robot ever, according to its makers at Rethink Robotics. You don’t have to be some sort of a programming genius to teach it to do sophisticated tasks for you. 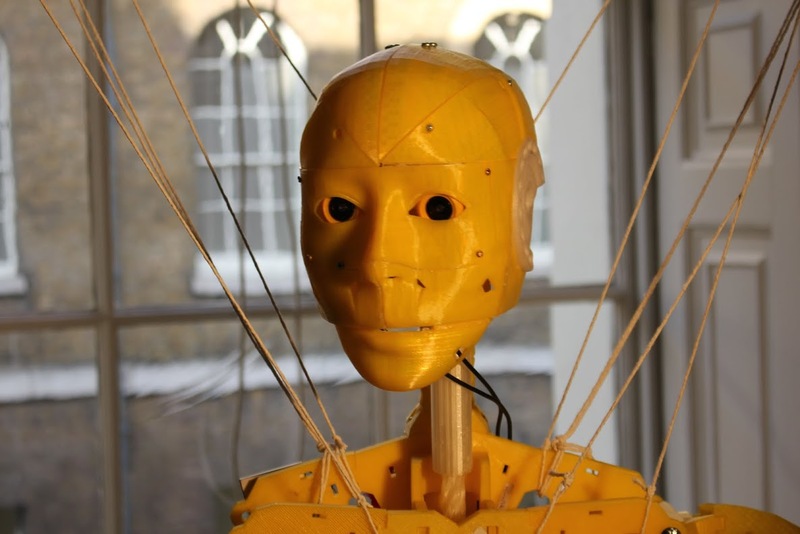 Besides its preprogrammed routines like machine operation, sorting, packing and unpacking stuff like most robots do, you can program it yourself by moving its limbs and interacting with its touchscreen face. Look at this guy in action in this video. Baxter is touted as “affordable,” but I guess that depends on how much money you have: It’s $22,000. Ouch. Even so, I like the idea of a user-friendly robot with common sense, perhaps a precursor to household robots that might be reasonably priced sooner than anyone thought. Hasselblad, the company that made the cameras that shot all those spectacular moon photos of guys cavorting on the lunar surface, has just introduced Lunar, a high-end mirrorless camera with interchangeable lenses. 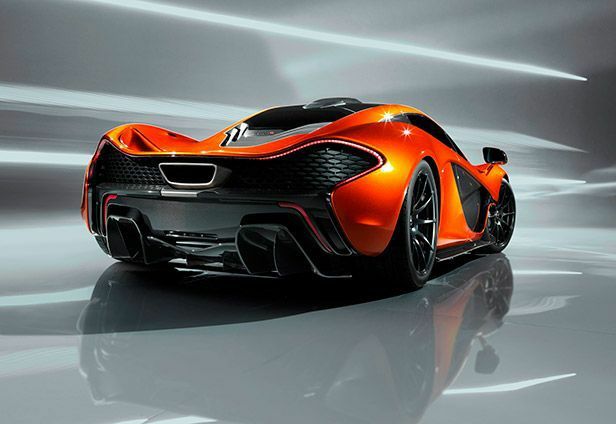 It’s aimed at the “ultimate luxury” market. Look at that big honking lens hanging on it, showing you how the camera can use A-mount glass for pro-level versatility. A lens this size almost defeats the purpose of a mirrorless camera, though, which can be a lot smaller than conventional digital SLRs while still using a huge sensor. Here’s a look at the wood-trimmed back of this beauty, showing off one of its finishes that also include titanium, carbon fiber and leather. 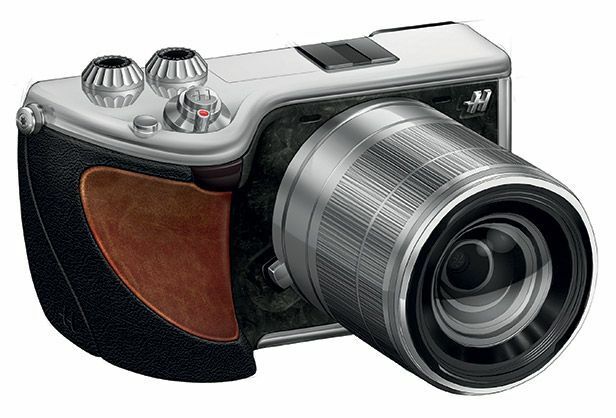 So far, Hasselblad admits that these “work in progress” prototypes are simply models made of wood. 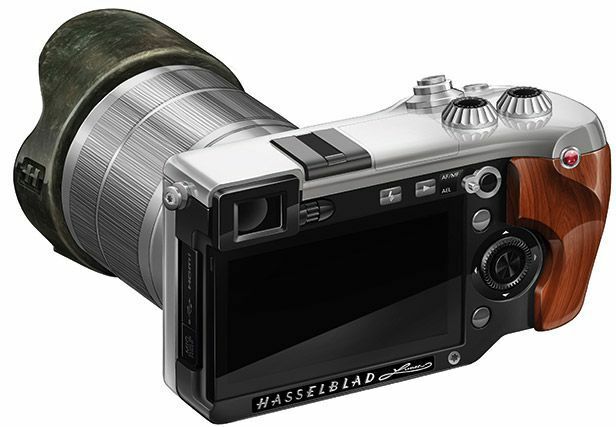 Even so, if any company can execute this design with the highest quality, it’s Hasselblad. By the way, the company says it’s working with Sony on this design, whose NEX-7 camera has identical specifications. 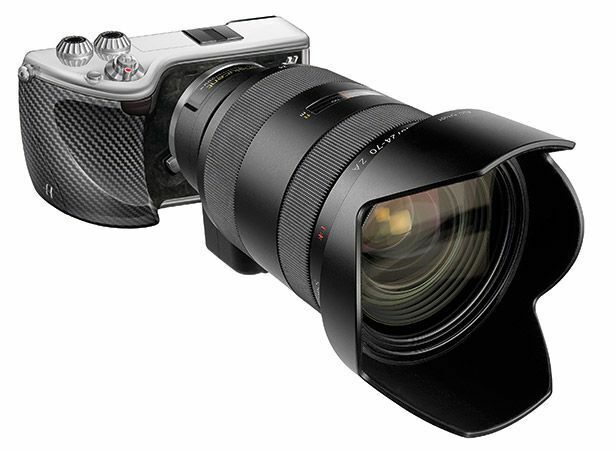 However, the NEX-7 costs $1,100, and this fancy Hasselblad version is said to cost around $6,500. That’s quite a premium for that Hasselblad nameplate. I’ve been toying with iOS 6 all week, and now it’s my turn to tell you which iOS 6 features I think are most useful. First of all, I like its excellent panorama capability, which guides you into creating a sharp and lovely super-wide picture with very little effort. Bravo. Seems like there’s not much love for Apple’s new Maps application, for which the company jettisoned the highly refined Google Maps. The app was obviously released way too soon. But I like its potential. Even though Maps’ mistakes inspire plenty of comedy, I’ve been using its turn-by-turn directions with a lot of success. I’m not sure if I trust it 100% yet, though — I’ll be keeping my excellent Tom Tom GPS app on my iPhone until Apple fixes Maps’ many problems. Criticism aside, those 3D views are so spectacular, they give you a hint of the potential of Apple’s Maps app. But jeez, Apple, even Google’s years-long betas aren’t usually this rough. This simple upgrade eliminates one of the iPhone’s persistent annoyances. Now I can update any app without entering my long, complicated password. Thank you, Apple. For those who actually use our iPhones for phone calls, this new way to reply to a phone call with a message or be reminded of it later is a godsend. Thank goodness for “Do Not Disturb.” Now you can keep that phone from lighting up your bedroom all night, or waking you up in all its myriad ways. Do Not Disturb is smart, letting you set it so your phone will ring if someone calls you again within a few minutes, or letting you designate a list of people who can always get through. Great idea, Apple. What’s this? A mechanical keyboard that’s almost silent? Seems impossible, but that’s just what Matias says it’s done with this Quiet Pro Keyboard. The company says its Quiet Click mechanical keyswitches make it so you can feel that reassuring click as you press down a key — without hearing it. You’ll get sculpted key tops and anti-ghosting (for lag-free typing) along with the privilege of quietude, and the company adds a trio of USB 2.0 ports for your convenience. Is there a catch? Well, it will cost you $150 for your choice of Mac or PC configuration, but that’s not too bad of a price to pay for the blessing of sweet silence. Here’s the most insane design concept we saw all week, the Exhaust Burger Mobile Tailpipe Barbecue. Vehicle exhaust heats up the top of this sealed unit, searing that burger to a golden brown. Let’s hope it’s sealed up really tight, because I’m thinking car exhaust won’t be a very appetizing burger condiment. Will the exhaust still be able to flow freely enough? Will this cost you extra horsepower? It’s a silly idea, useful only when the apocalypse arrives. But then, there won’t be many burgers available, will there? You know those little Roku set-top boxes that are slightly bigger than a hockey puck? Now the company’s miniaturized that circuitry to stream your favorite video services such as Netflix, boiling it down to a self-contained device that’s the size of a thumb drive. 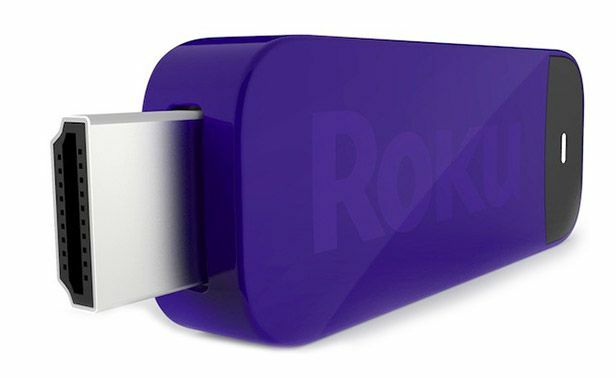 Plug the Roku Streaming Stick into your TV, and this Wi-Fi equipped streamer springs into action. The only catch? Your TV must have a special MHL (Mobile High-Definition Link) port into which you plug it, and then you’ll be able to control this mini streamer with the TV’s remote. We saw prototypes of this device back in January, but the company is just now ready to ship this tiniest of streamers. I would much rather get a little streamer like this that I can plug into a TV, rather than having all that circuitry built in, becoming obsolete in a year or two. New TVs that have the special MHL port will have a “Roku ready” logo prominently displayed. Available soon for about $100, we’re hearing some manufacturers might even include it with new TVs. 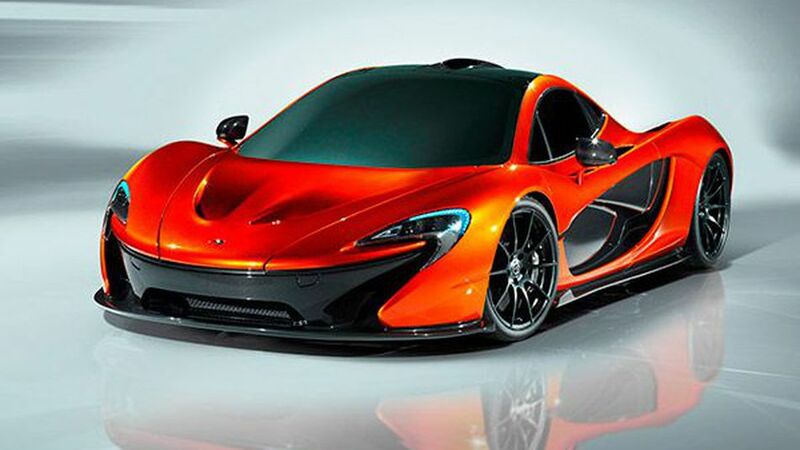 Behold, the ultimate supercar. 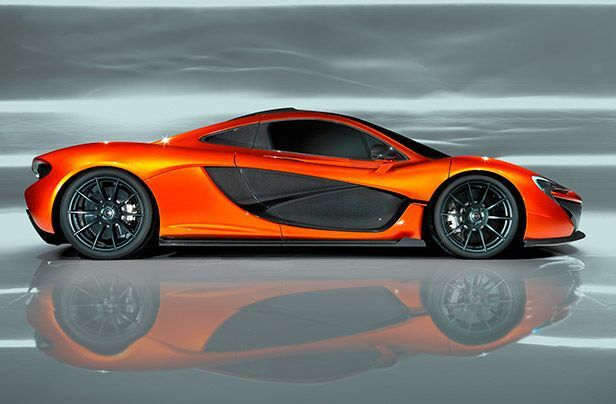 That’s what McLaren calls its P1, a “design study” the company will roll out at the Paris Motor Show starting Sept. 29. An actual production version of the car is still about 12 months away. What other juicy specs came along with this design concept? 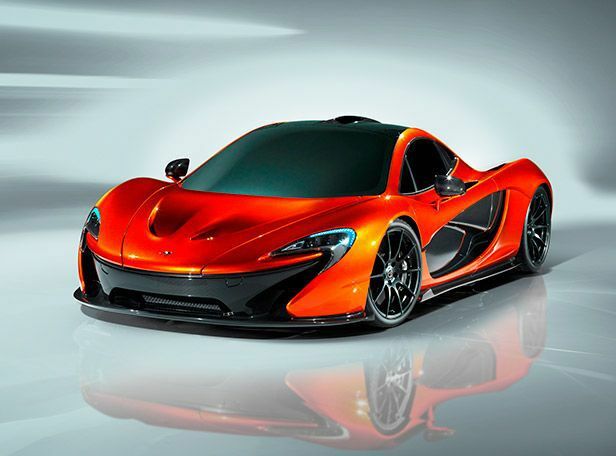 McLaren’s not saying yet, but it’s certainly going to be able to beat its 20-year-old brother and industry-standard McLaren F1, whose top speed is 242 mph. Stanford University students are capturing incredible images of birds in mid-flight in order to study their movements, behavior, and ultimately create the ideal drone. The ultra-high-speed Phantom camera they use can shoot upwards of 3,300 frames per second at full resolution, and an amazing 650,000 at a tiny resolution, which enables the students to capture the incredibly intricate movements of a bird in flight. The purpose of studying the birds is to capture their biomechanical behavior mid-flight and apply the findings to enhance robot design. Professor Lentink explains many drones can be disrupted by a slight gust of wind, but a bird can use its wings to stay airborne. The incredibly detailed images of the birds in flight may provide the key to why robots can’t fly in the same manner. With the help of the images caught on tape, the students and their supervisors are hoping to develop an ideal search-and-rescue robot, one that can adapt to an unpredictable environment and incorporate the best characteristics of each bird studied. The Stanford researchers now want to give people the opportunity to film the birds themselves. 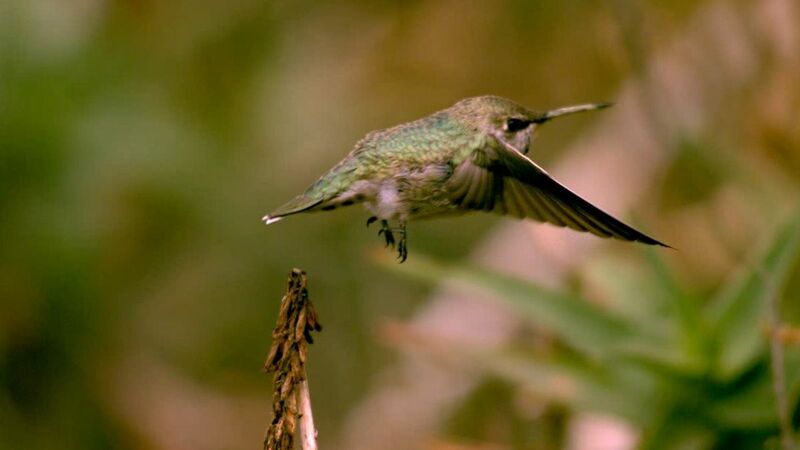 Their project “Flight Artists” will give Bay Area birders access to Lentink’s camera. “We’d like to pair the camera with some bird enthusiasts who might know the natural history of these birds better than us,” Lentink says. Applications to use the camera can be found on the project’s website. For more, check out the videos above and below.